The average commute in the D.C. region was roughly 8 minutes longer than the national average 26.6 minutes. 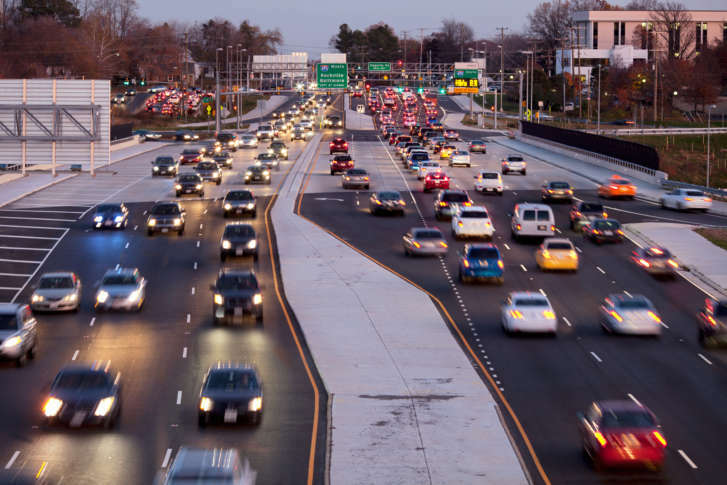 ARLINGTON, Va. — People who live in Southern Maryland and in the outer Virginia suburbs have the longest average commutes in the D.C. metropolitan area, new Census Bureau data show. The average commute in the region took 34.8 minutes, according to the latest data estimates from the Census Bureau released last week. That’s roughly 8 minutes longer than the national average 26.6 minutes. People who live in Calvert County, Maryland, had the longest average commutes, at 45.5 minutes. Charles and Stafford counties also had over 40-minute-long average commutes. People who live in Arlington, Virginia, had the quickest commutes, averaging 28.5 minutes. Commuters from Howard County, Anne Arundel County and D.C. also had relatively short trips to work. Fairfax, Montgomery, Loudoun and Prince George’s counties all had relatively average commute times for the region: Fairfax had the shortest of the four, with 32.4 minutes, and Prince George’s the longest at 37 minutes. The latest data were only released for jurisdictions with at least 65,000 people. Commuting data for cities such as Fairfax, Falls Church, Manassas and Fredericksburg will be released later this year.